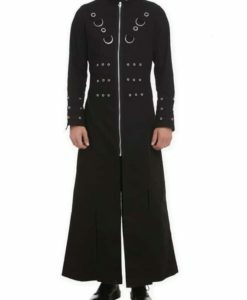 Black Hooded Trench Coat Goth Punk Long Jacket is a jacket which represent the pure Gothic clothing. 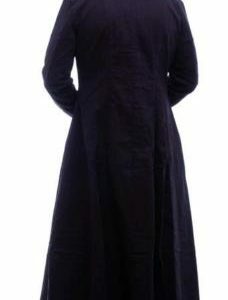 It is a hooded jacket made up of high quality fabrics (fabrics on demand). It features long sleeves style, the cuffs of the sleeves have stylish buckles and hooks used. 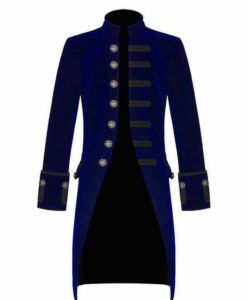 There is one flap pocket on the right side of the jacket, the flap has stylish buckle and hooks matching the sleeves of the jacket. On the shoulder, there are stylish patches used which looks really amazing while wearing the jacket on. 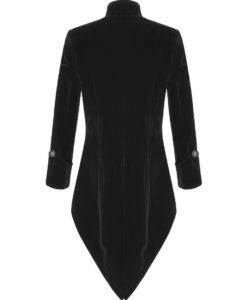 This jacket features black zipper fastening which lock the jacket till the end. 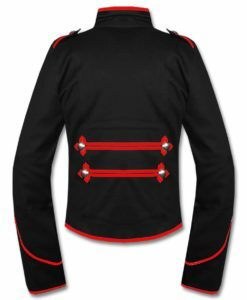 There is one flap pocket on the right side of the jacket, the flap has stylish buckle and hooks matching the sleeves of the jacket. 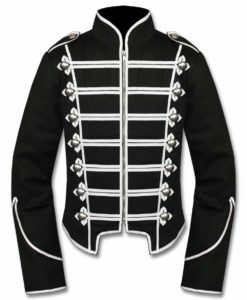 On the shoulder, there are stylish patches used which looks really amazing while wearing the jacket on. 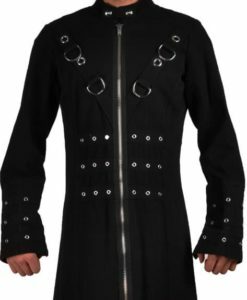 This jacket features black zipper fastening which lock the jacket till the end. 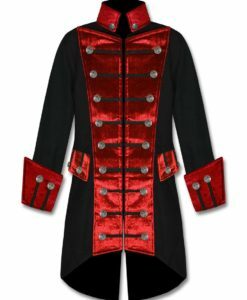 The jacket is of long style so it hangs till then feet and have rounded style in the bottom like any traditional trench coat. The jacket features long sleeves the cuffs of the sleeves have stylish buckles and hooks used. 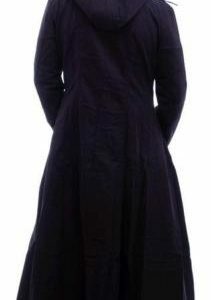 Since, the jacket features a hood so it is collarless instead it comes up with a hood. 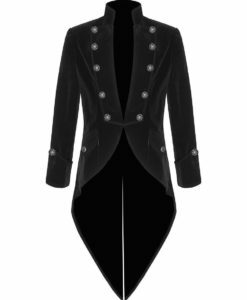 This jacket is really beautiful! It looks and fits amazing. This jacket is perfect for those who don’t have a muscular body.